Originally from Poland, Natalia studied acro-sport, a multi-disciplinary form of gymnastics, for more than 10 years before applying this training to the circus arts. She toured Europe for five years after which she was recruited by Cirque Éloize. She then toured with the company’s shows Nomade and Rain, appearing as an acrobatic flyer. After performing some 400 shows, she moved to Montreal to pursue an artistic career, notably as part of the Throw2catch collective. She also obtained an Trainer of Circus Arts (AEC) diploma from the National Circus School and subsequently joined the faculty as a teacher. Zachary Alapi holds an M.A. in Creative Writing from the University of New Brunswick and teaches English literature in the higher education program at ENC. He also currently works with the start-up Fluentify and serves as a marker for the Ministerial English Exit Examination. As a journalist, he covers boxing for outlets including Boxing Scene, FanSided, Bleacher Report, and the Fight City, while serving as a reporter for Rendez-Vous, a monthly newspaper covering specific Montreal boroughs. He has previously worked for the Banff Centre for Arts and Creativity in the Literary Arts department and has published fiction in Canadian magazines like The Danforth Review and Front & Centre. Ilya holds a master's degree in physical education from Astrakhan State Technical University, Russia (2007). He attended the school on a scholarship as the best athlete in that country awarded by the Mayor of Astrakhan in 1997. Prior to a career as an artistic gymnastics coach, he was part of Russia’s national artistic gymnastics team from 1996 to 2000, with which on several occasions he won gold, silver and bronze medals. Ilya also took first place at the European Men's Artistic Gymnastics Championships in 2000. He has worked with Cirque du Soleil, first as a coach in 2005 and then as a barre artist with the Alegria touring show in 2011. Since 2012, he has taught several subjects at the École nationale de cirque, including acrobatics, Russian cradle, aerial straps and trampoline. Sarah has contributed to a variety of social circus projects around the world. As an instructor, speaker and coordinator, she has worked in Cameroon, Burkina Faso, Honduras, Lebanon and, in Canada, Nunavik. She also has taught in several circus schools, including those in Quebec City and Gaspé. She coordinates the Cirque du Monde project in the province’s capital and teaches the social circus component at the National Circus School in Montreal. As well, Sarah contributes to the training of educators involved in various social circus projects at Cirque du Soleil. Mélanie holds a bachelor's degree in education with a major in French and history from the University of Ottawa, as well as bachelor's and master's degrees in history from the Université de Sherbrooke. Prior to joining the École nationale de cirque team in 2010, she taught history, French and geography for over 10 years with the Affluents and Montreal school boards. At the same time, Mélanie has served as a tutor in French and mathematics for children with learning difficulties and regularly organizes cultural outings for students in the School’s Circus and High School Studies program. From an early age, Jérémie was immersed in the world of figure skating. 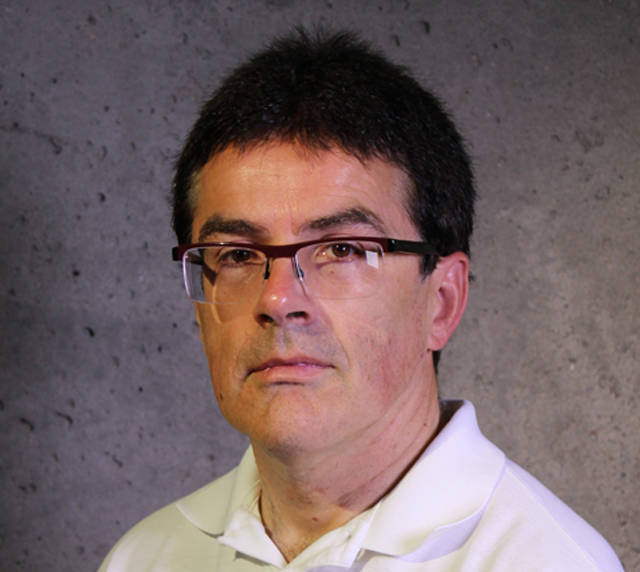 He has served as coach at several figure skating clubs in the Montreal region and as artistic director of the Boisbriand Skating Club. In parallel, he pursued studies in communications and cinema, graduating from Collège Lionel-Groulx and UQAM. He continued his career with the famous entertainment company Disney on Ice where he wore many hats, as skater, coordinator and media representative . After obtaining an Instructor of Circus Arts (AEC ) diploma from the National Circus School, Jérémie joined the staff to coordinate the recreational program. Once he graduated from École nationale de cirque in 2005 as a circus performer versed in juggling, Nicolas cumulates his stage experience with, among others, Cirque du Soleil, Cirque Éloize and Cavalia. Today, he acts as head coach at Cirque Éloize, while also teaching at several organizations such as En Piste, the Circus Arts National Network. Nicolas holds an Attestation of Collegial Studies as a circus arts trainer from the School. Along with his teaching assignments, Nicolas is the cofounder of the circus company Throw2catch et the training studio Artcorps. William made his circus world debut in France with the company Couleurs Mécaniques, with which he toured Europe. He later enrolled in the Circus School of Lomme and specialized in aerial acrobatics performed on straps. He continued his education at the National Circus School where he mastered hand-to-hand, floor acrobatics and clowning. William has worked with many companies, including Circle of Eleven, Franco Dragone and The 7 Fingers and Cirque du Soleil. He gained acclaim for his solo performance in Leo, a physical theatre work by Daniel Brière for the company Y2D. At the National Circus School, William teaches hand-to-hand, floor acrobatics, acrobatic research, and physical preparation and flexibility. While still a teenager, Dominique launched a juggling and acting career in Chicoutimi by appearing in the show La Fabuleuse histoire d’un Royaume, a production that tells the story of Quebec. Dominique went on to participate in various projects, including the show ECLYPS, with companies like Productions Zakiri and the collective Throw2Catch. A National Circus School graduate specializing in diabolo, Dominique rose to prominence through appearances in Cirkopolis by Cirque Éloize and Reversible by The 7 Fingers. As a performer, he applies his skills in juggling, German wheel, banquine and teeterboard. He currently teaches juggling at the National Circus School. Having accumulated 30 years of professional experience as a circus artist, Irina made her debut in 1973 with the Moscow Circus as an acrobat and equestrian in a solo number involving skilled horsemanship and vaulting on horseback. In the 1980s, she developed a solo equestrian acrobatics number while simultaneously teaching equitation, foot juggling, balancing, flexibility and horseback acrobatics. Irina has been part of the École nationale de cirque faculty since 2003, and teaches balancing and foot juggling techniques. Over the course of a 34-year career as a circus artist with the Moscow Circus, Yury performed in a wide range of numbers involving aerial acrobatics, large balls and poles or the carrier position in floor gymnastics. He is the recipient of a Veteran Circus Performer medal for both his significant achievements in circus arts and efforts to educate young artists. Yury also received the title of Emeritus Artist of Russia. Since 2002, Yury has taught aerial techniques, balancing, straps, hand-to-hand and foot juggling at the École nationale de cirque. 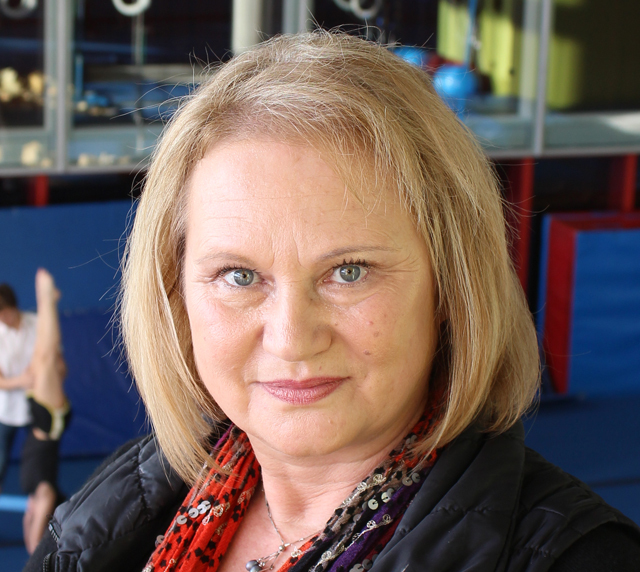 Member of the national team of Ukraine from 1991 to 1994, Iryna was distinguished by earning the European acrobatic gymnastics championship and the world junior and senior championships in acrobatic workshops. She then performs across Europe as a circus artist, before joining Cirque Éloize in Rain in 2005. She developed a new duet technique with the Cyr wheel founder, Daniel Cyr. A Cyr wheel coach in connection with Cirkopolis, iD, Rain and Saloon from 2010 to today, Iryna teaches at École nationale de cirque since 2012. She also holds an Attestation of Collegial Studies from the School as a circus arts trainer, specialized in Cyr wheel. Marilyne possesses a bachelor’s degree in Kinesiology from the Université du Québec à Montréal and teaches hip-hop dance at Danse Montréal and Studio Accento. 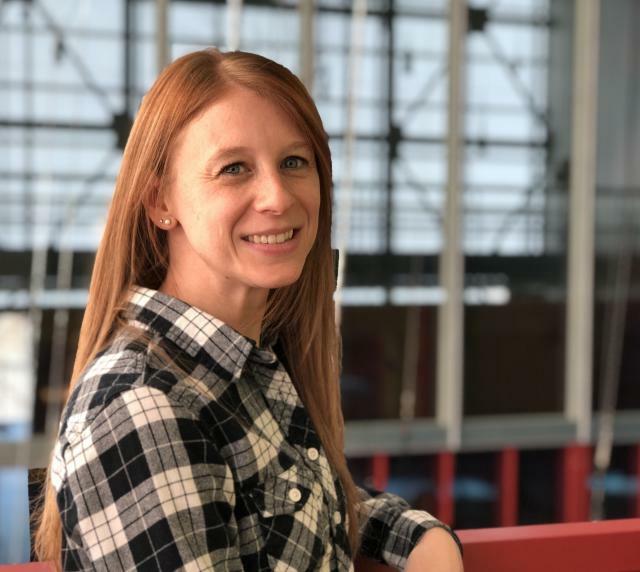 As an instructor at Sport-Montréal and at the Régina-Assumpta College Sports Center, she combines her passion for both dance and physical fitness. As well, she teaches both passions to students enrolled in the Preparatory Program at the National Circus School. 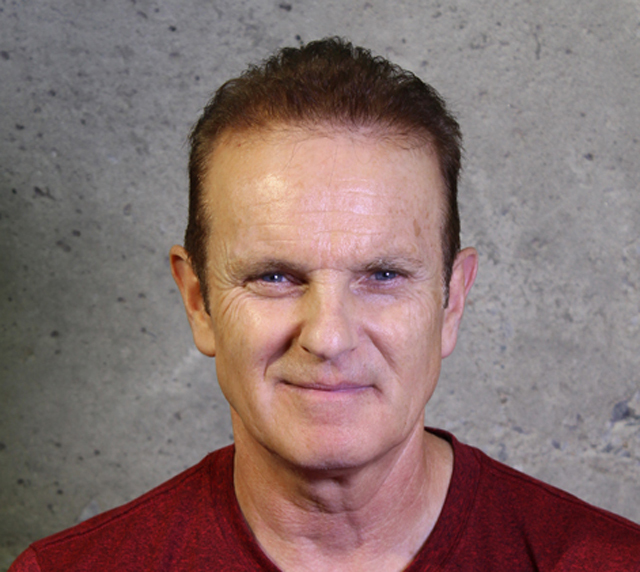 An accomplished gymnast, Pierre began his teaching career in the early 1970s, going on to spend more than 20 years as a coach for the Canadian Olympic gymnastics team. He also holds Level 4 certification from the Coaches Association of Canada in gymnastics. At the same time, as an athlete he participated in several major international competitions, including the 1975 Pan American Games in Mexico City and the 1978 World Gymnastics Championships in Strasbourg. An instructor at the École nationale de cirque since 1988, Pierre teaches acrobatics, Chinese hoop, tight rope, rope, aerial straps and unicycle. He also served on the School’s board of directors from 2004 to 2016. Dominique holds a bachelor's degree in translation, a graduate degree in education and learning, and a master's degree in French literature. She serves as a marker of provincial ministerial examinations at the secondary and college levels and works on research projetcs as a consultant for the Direction de l'évaluation des apprentissages at the Quebec Ministère de l'Éducation et de l'Enseignement supérieur. She joined the National Circus School team in 2012 to teach literature to students in the post-secondary programs. Ever fascinated by body language and movement, Estelle first interpreted works devised by other choreographers before making creation her way of life. Now a full-time choreographer, with her Créations Estelle Clareton company she explores this world in a quest for meaningful virtuosity. The circus is of prime importance in the choreographer’s life, who since 2006 has served as an artistic adviser at the École nationale de cirque. 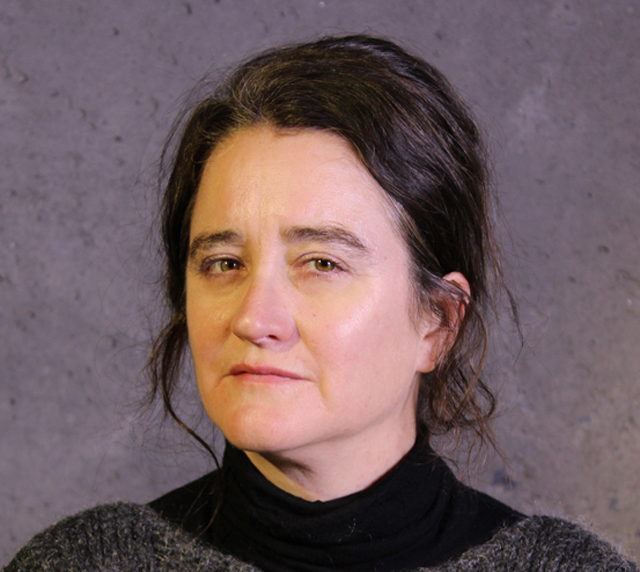 She directed La disparition as part of the 2007 Annual Show and assisted Gypsy Snider in the creation of Crimes in June 2009. In October of that year, at Tohu she presented En plein corps, a Research and Creation Workshop creation featuring six ENC graduates. Playfulness, clown arts, acrobatic flights and juggling, these aspects of the medium inspire the choreographer and infuse her works for the stage. 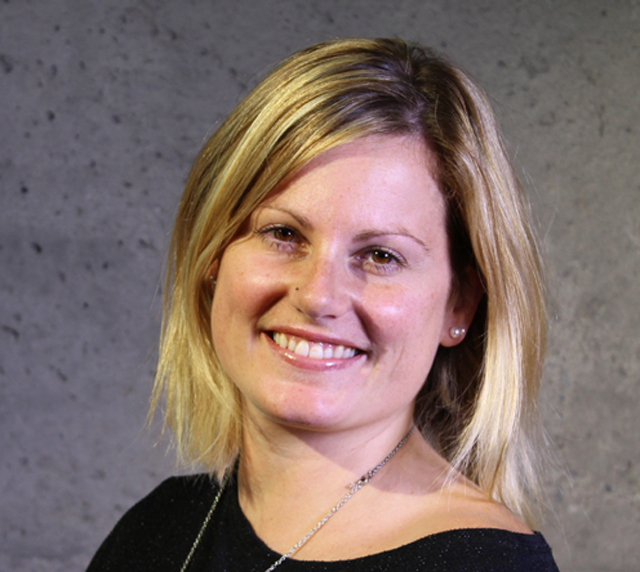 Chantal graduated from Concordia University in 2000 as a certified athletic therapist and kinesiologist. 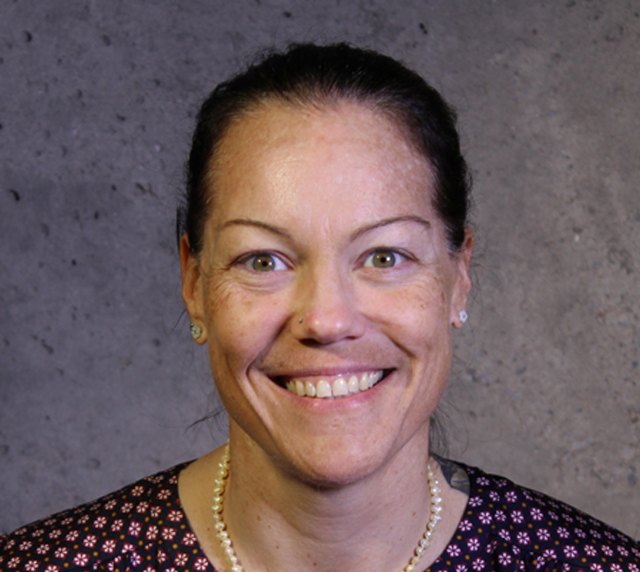 She went on to obtain national certification from the Canadian Athletic Therapists Association in 2002. 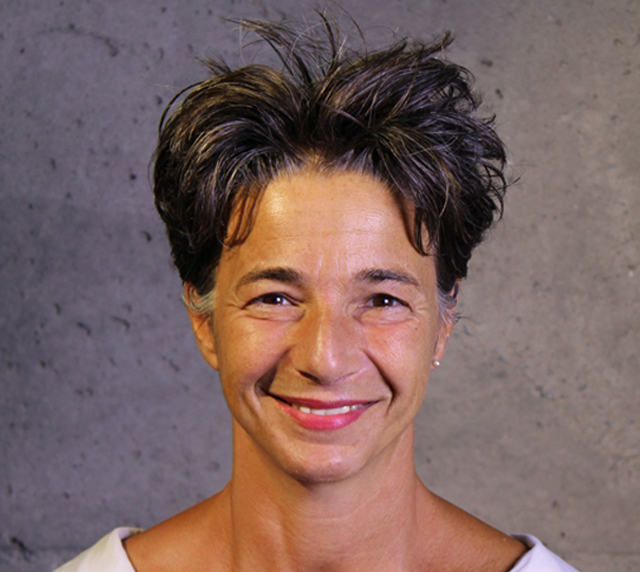 President of the Conseil de médecine du sport du Québec, she is a member of the team of therapists for the major judo and karate associations of Quebec and Canada, and coordinator of medical services for the Quebec Games. 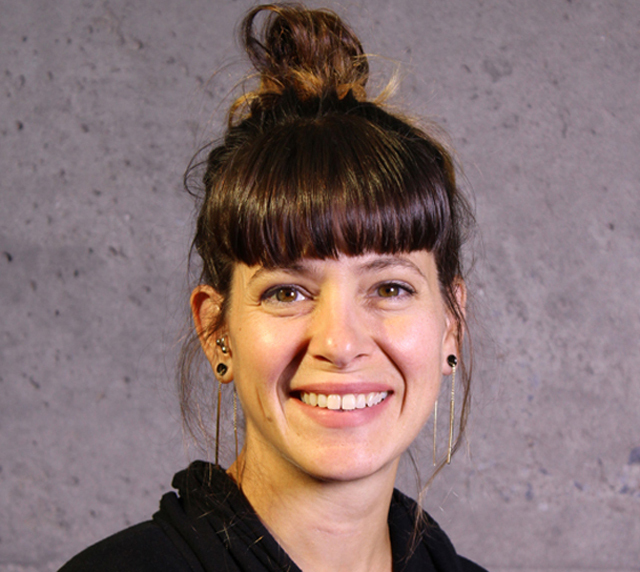 In addition, Chantal has taught anatomy courses since 2012 at the École nationale de cirque and at the Concordia University Department of Exercise Science. She is also a CPR and first aid instructor. Joseph is a skilled performer, magician and magic consultant. Co-founder of the performance troupe Ars Mechanica, he works as a consultant for private and public organizations. He also holds a Ph.D. in Comparative Literature from the University of Toronto. His thesis, “Reception and Adaptation: Magic Effects, Mysteries and Con Games,” examines how individuals experience magic through various media. Joseph has taught the history of magic and its adaptation to the circus arts at the École nationale de cirque of Montreal since 2014. A graduate of the School of Ballet and Dance Arts in Manila, Yvonne began her career with Ballet Philippines. At the age of 15, she danced for Les Grands Ballets Canadiens, quickly rising through the ranks to the status of principal dancer and performing in both classic repertory and contemporary works. In 1998, she began a three-year tour with LaLaLa Human Steps and danced with Boston Ballet (1994-1995) and Washington Ballet (2000-2001) companies. She was also invited to join a production of Coyote Builds North America under the direction of Molly Smith, and performed for a season with Ballet BC in British Columbia. 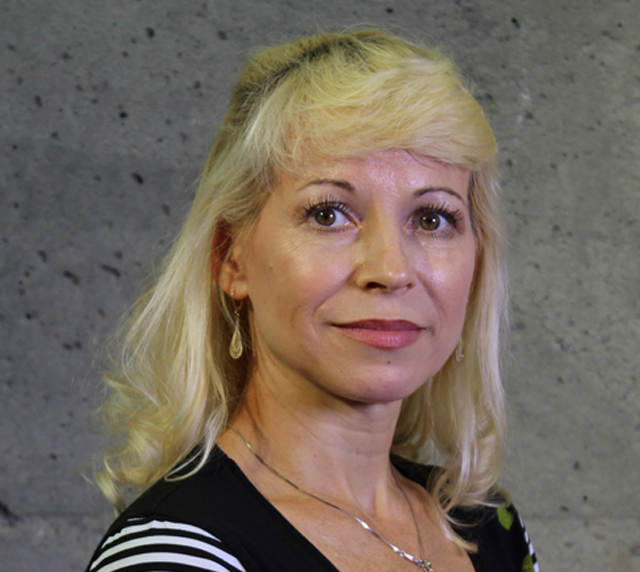 As a visiting teacher and dancer with many international schools and companies, Yvonne has taught dance to ENC students in the high school and upgrade programs since fall 2016. 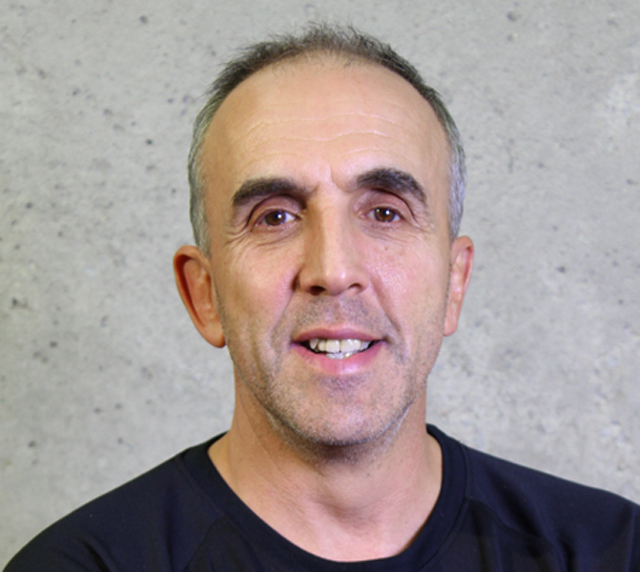 With a bachelor's degree in physical activity (kinesiology) from Université Laval (1995), Éric began his career as an instructor, trainer and fitness evaluator with several fitness centres in Montreal. 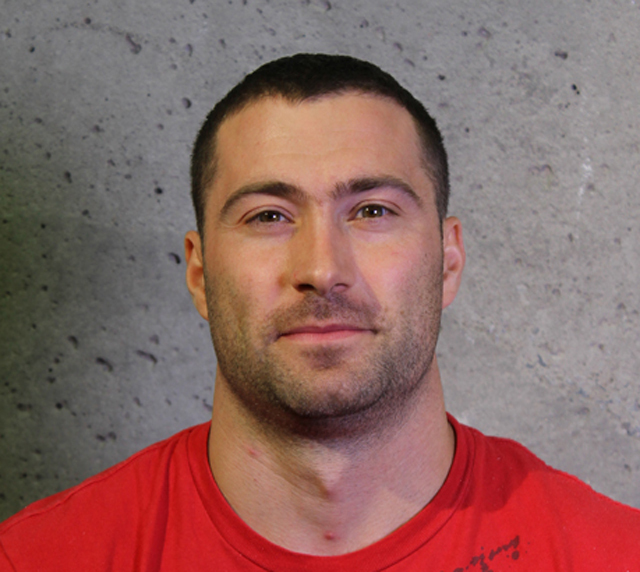 Since 2004, he has served as co-ordinator/physical training specialist at the École nationale de cirque, and since 2007 has trained students of the Cyr, German and ultimate wheels. He also works as a physical conditioning specialist and consultant for Cirque du Soleil. He is a member of the technical committee of the International Wheel Gymnastics Federation as a Cyr wheel specialist (development, regulations and catalog of problems). 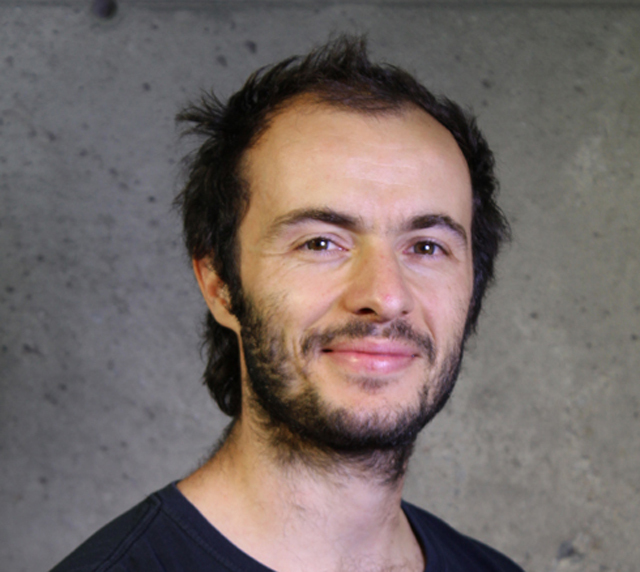 As well, Éric is an assistant at the Center for Circus Arts Research, Innovation and Knowledge Transfer and assistant coordinator of circus arts education programs at the École nationale de cirque. 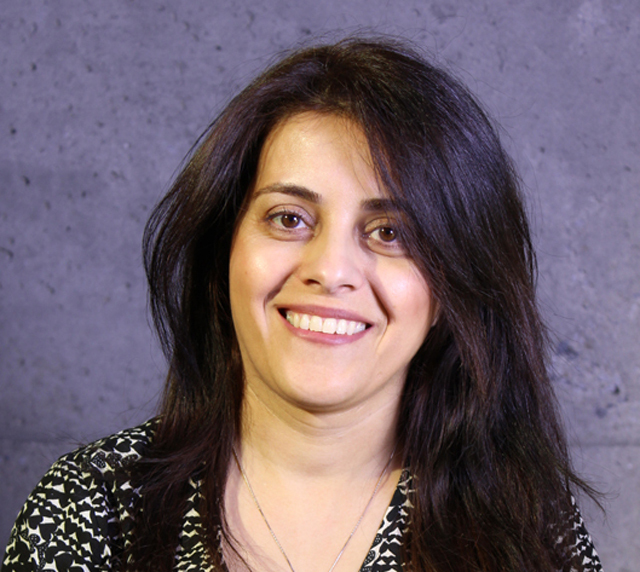 Vaji first obtained a bachelor's degree in translation and a master's degree in English literature from Azad University in Iran before completing a master's degree in English studies at the Université de Montréal. 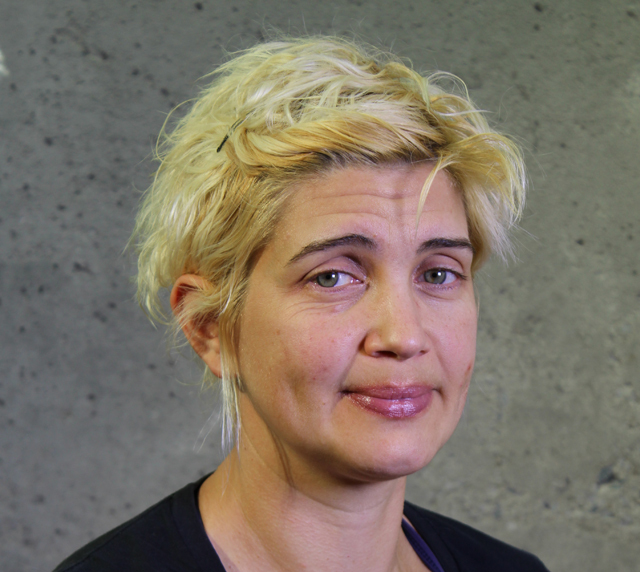 Her fields of interest and research focus on critical analysis of political and circus arts-related literature. Vaji taught English at the Pointe-de-l'Île School Board, then became an instructor of English conversation and business communications at Cirque du Soleil. She has taught English as a mother tongue at the École nationale de cirque since 2012. 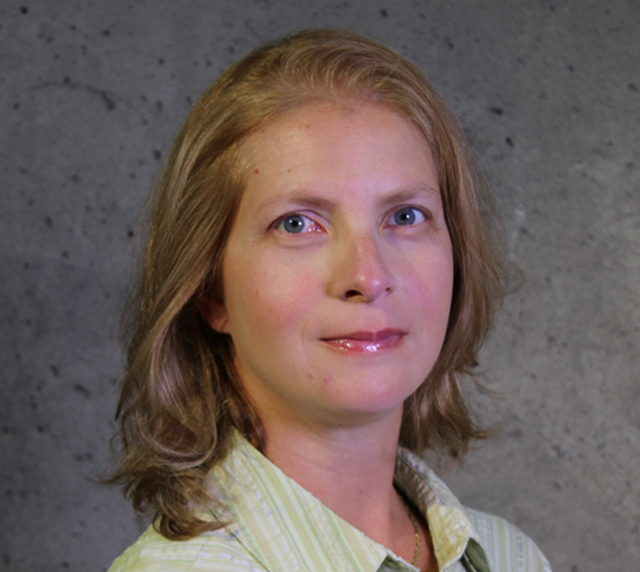 Concurrently, she is a teaching assistant at the Université de Sherbrooke and an assistant professor in English studies in an internationally oriented economic and commercial context at TÉLUQ, a distance-learning institution. Jesse Dryden is the first Canadian graduate of Ringling Bros and Barnum & Bailey Clown College. In addition to appearing on stages throughout North America and Europe, he has participated in many festivals, ceremonies and street events. He is a member of Circus Smirkus of Vermont, where he has served as creative director of the Big Top Tour for 15 years. He also has performed with Cirque du Soleil and as the lead character in Birdhouse Factory by Cirque Mechanic. In Montreal, he teaches clowning arts and acting at the National Circus School. 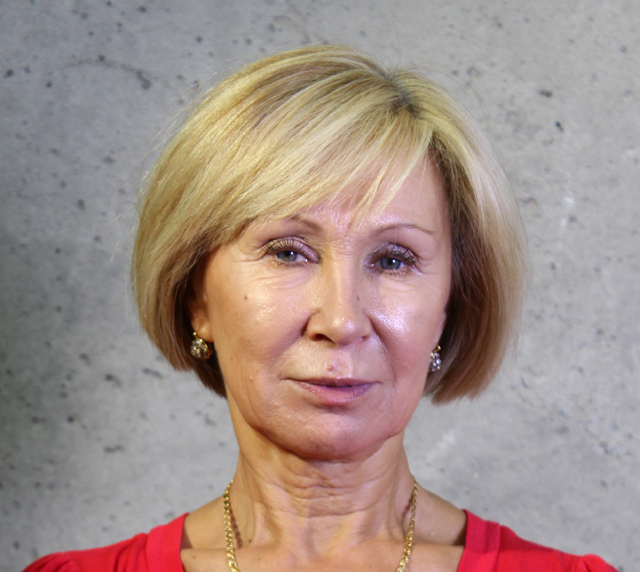 Elena began her artistic career in 1976 as a gymnast competing at the national level for Moldova, her home country. She graduated in 1991 from the Moscow State Circus School, from which she also obtained a diploma in professional teacher training. She specializes in hand-to-hand, swinging trapeze and other aerial disciplines, and won the silver medal at the 1992 Festival mondial du cirque de demain in Paris. After several years of performing as a circus artist, Elena turned to teaching; she was a trapeze instructor for Cirque du Soleil's Alegria show and a rhythmic gymnastics trainer at the Club Rythmik-Québec. A professor at the School since 1994, she teaches aerial disciplines, balancing, flexibility and contortion to students in the higher education program. 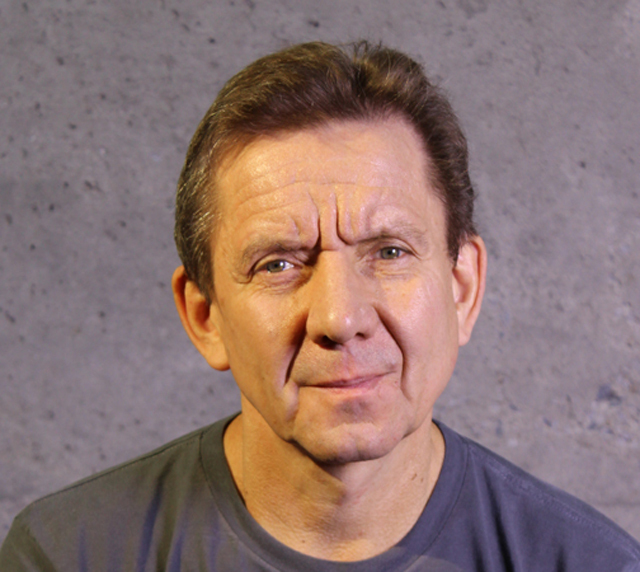 Primarily a circus artist, Victor began his teaching career in 1983 at the Moscow State Circus School before moving on to teach aerial disciplines at the Annie Fratellini Academy in France. 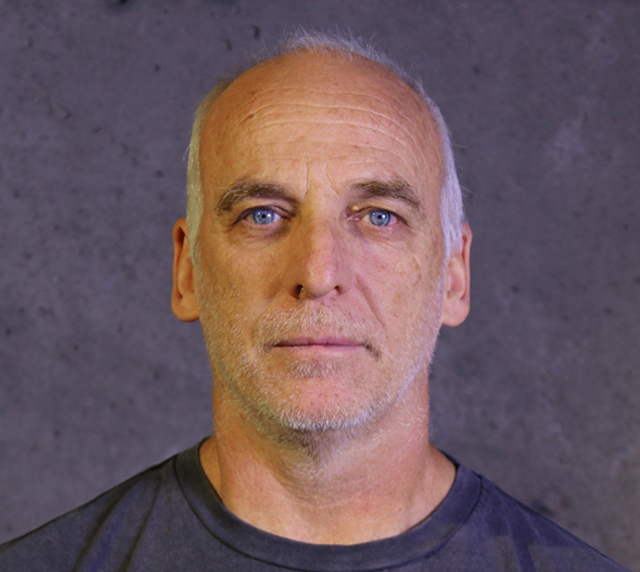 He has served as a trainer at Cirque du Soleil since 1993 and specializes in teaching the flying trapeze. Recognized throughout the world for his mastery of the discipline and the quality of his teaching, Victor has trained dozens of circus artists and specialists in flying trapeze. Many of his former students have won awards at some of the world’s most prestigious competitions, including the Festival Mondial du Cirque de Demain in Paris and the Wougow International Festival of China. A multifaceted artist, Éric is an actor, musical composer and sound designer. With a background in drama and dance, since the early 1990s he has performed regularly on stage and television, and in movies. From 2000 to 2004, he taught sound design at the Université du Québec à Montreal. 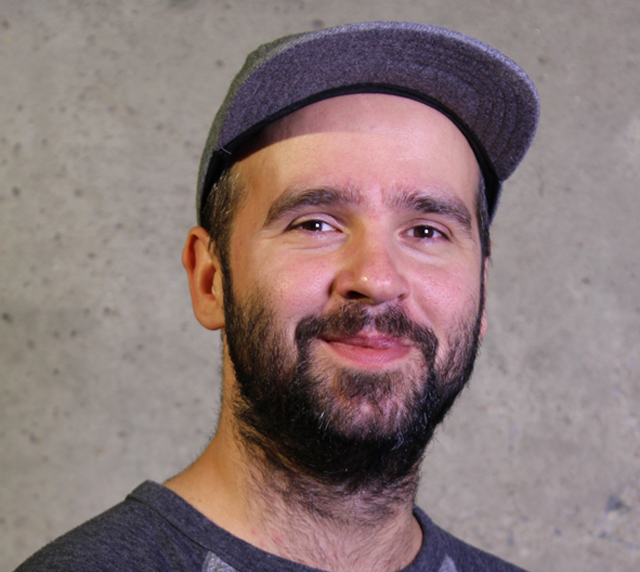 As music consultant for the National Circus School, Éric has leant his talents to the sound design of more than a dozen Annual Shows performed by graduates since 2007. His extensive experience in the musical field makes him a versatile professional, recognized and in-demand among the performing arts community. Trained in dance and drama, Alain is an actor, dancer, director and choreographer. He has worked as performer or director for numerous companies, including Carbone 14, Brouhaha Danse and Danse-Cité. For the circus, he directed Cirque Orchestra (2000) for Cirque Éloize, RESET (2013) for T2C/Throw to Catch, and La brunante (2006), Timber! (2011) and Barbu (2014) for Cirque Alfonse. An artistic advisor at the École nationale de cirque since 2006, he devised the concept for a Research and Creation Workshop, C’est assez pour aujourd’hui, in 2008 and directed an annual show, Pour le meilleur et pour le pire, in 2013. A circus arts teacher, artist and creator, Alisan is a graduate of the National Circus School and New England Center for Circus Arts. With a master’s degree in individualized studies from Concordia University where she studied circus arts education and where she has served as research assistant on several projects examining the technical and creative aspects of circus, theater and physical literacy. As well, she currently is a doctoral candidate in the Integrated Studies in Education Science department at McGill University. She graduated as a circus artist from the Ecole de cirque de Quebec and graduated as a Trainer in Circus Arts from the National Circus School where she teaches aerials for the circus arts teacher training programs and works as a dedicated researcher at CRITAC, its Center for Circus Arts Research, Innovation and Knowledge Transfer. Joël began his career as a choreographic and musical instructor, percussion section, with several Canadian and American ensembles. He also worked as a puppeteer for Théâtre de Zef and Théâtre Sans Fil from 1990 to 2013. As a professional drummer, he has appeared with many different groups since 1995, including Willy Ray, Wang Dang Doodle, Ian Kelly’s album Speak Your Mind, Bad Boyz Boogie, D&The Boys and Montreal Dixie. He also has worked as a musical accompanist for Les ateliers de danse moderne de Montréal, Cirque du Soleil and, on a permanent basis, the École nationale de cirque. 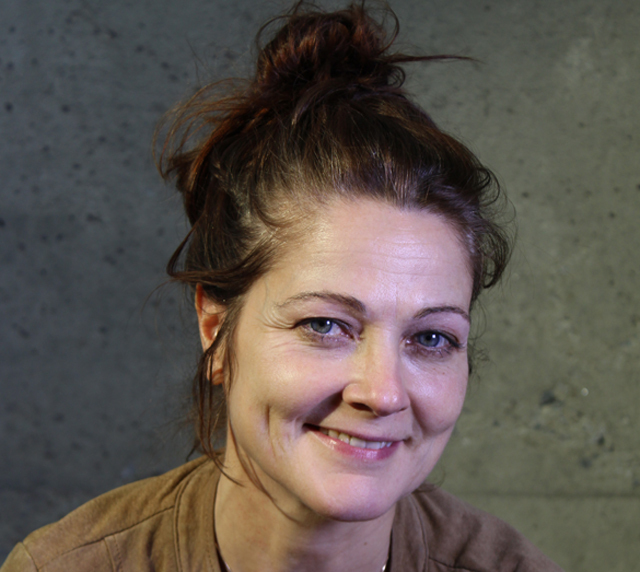 A director and actress, Marie-Josée has made frequent appearances on both film and the stage. 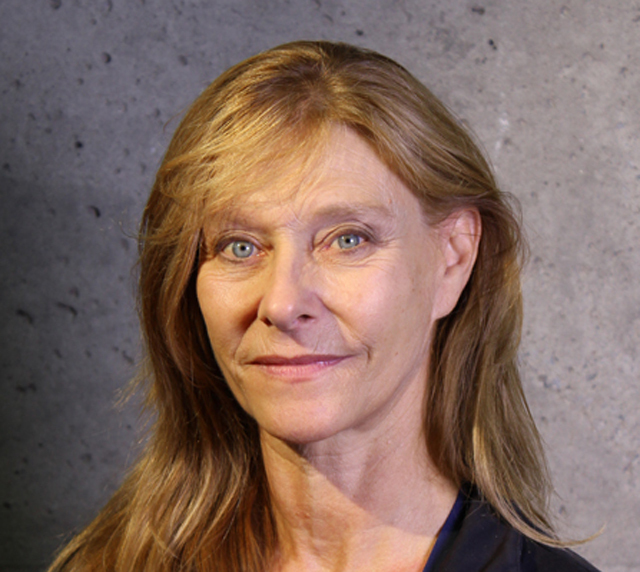 In 1994, she co-founded Théâtre Complice and featured regularly in the company's productions, going on to direct numerous productions for the theatre and circus. She frequently gives workshops at L'École de danse contemporaine and since 2006 has taught at the École nationale de cirque, where she is also an artistic advisor. For the School, she devised the concept and staging for two annual shows performed by graduates, Pomme grenade in 2011 and Demain in 2016. Marie-Josée co-directed the Circus Monti show Tourbillon in 2015 and clown Mick Holsbecke’s Moby Mick, on tour throughout France in 2016-2017. Nicolas acquired a master's degree in the science and techniques of physical and sports activities from the Université de Rouen in 2000. He went on to earn a diploma of advanced studies in physiology and biomechanics of motor performance from the Université de Rennes in 2002. Initially a lecturer at the Faculty of Sports Sciences in Rouen, he became a training consultant before graduating from the Trainer of Circus Arts program at the École nationale de cirque in 2006 with a major in juggling. Since then, he has taught manipulation, acrobatic research, acro dance and monocycle for the higher education program, and circus techniques and movement analysis for students in the circus arts teacher training programs. 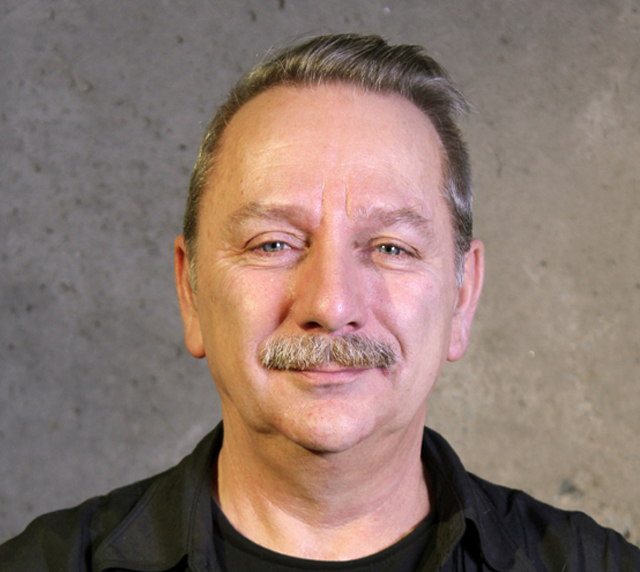 A movement designer, Louis has been active in the performing arts scene, in film and video design, as an artistic advisor, choreographer, dancer and improviser for almost 40 years now. His works have been presented in Canada, the United States, Cuba, France, Switzerland and Italy. Louis has been teaching for 10 years at Concordia University’s bachelor program in contemporary dance and has been invited to give dance workshops at Cirque du Soleil, UQAM, École de danse contemporaine, and in the United States and Europe. Co-founder of Tangente, a cultural venue programming innovative dance performances, Louis has dansed with LA LA LA Human Steps for 5 years and collaborated with several international artists. He also served as director for Marie Carmen, and choreographer for Cirque Eloize. Artistic advisor and teacher at École nationale de cirque since 1996, Louis has also been teaching his unique approach in dance and creation at Studio 303 for over 25 years. An actor, director, television writer and playwright, Sébastien is an aficionado of the performing arts. He is a graduate of Université Laval in theater and creative writing (1992) and completed his acting education at the École internationale de théâtre Jacques Lecoq in Paris (1994). He has been writing for the stage for over 25 years; more than 30 of his plays have been performed in professional, academic and corporate settings. 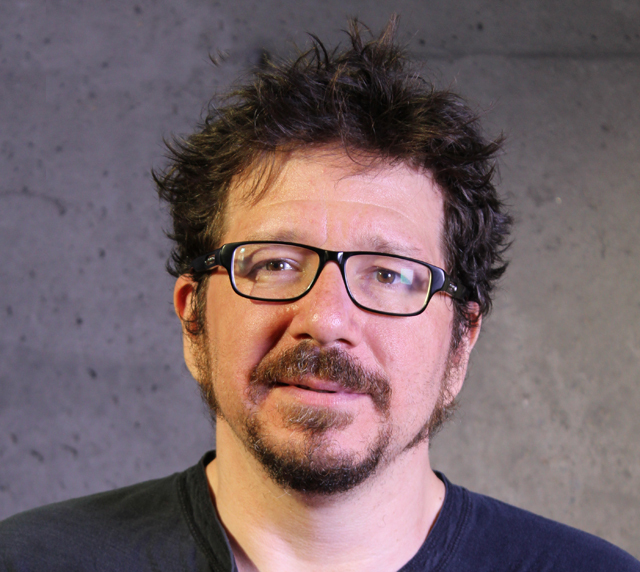 As a television screenwriter, over the past decade he has contributed to such programs as “La Petite Séduction;” “Viens-tu faire un tour ?” (ICI Radio-Canada), and “L’Amérique de Michel” (Canal Historia), in addition to other projects. Sébastien has served as an artistic advisor and acting teacher at the École nationale de cirque, working with postsecondary students since 2008. Nathalie earned a diploma in dance from Collège Montmorency (1989) and a bachelor's degree in physical education from Université de Montréal (1995). Today, she is a gymnastics coach and choreographer for several gymnastic clubs, including Gymnix and Gymnova, and for dance schools in Montreal and Laval. Since 1999, she also has served as a national and international-level choreographer of artistic gymnastics floor routines for several gymnastics clubs in Quebec. 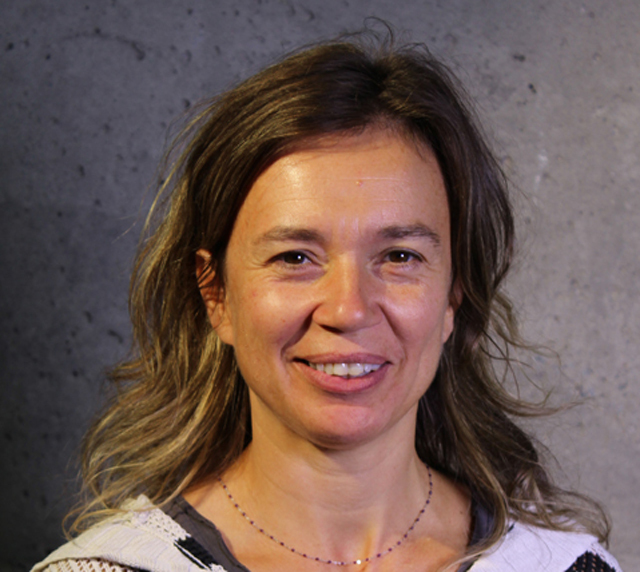 Nathalie has taught acrobatics, aerial hoop and dance trapeze at the École nationale de cirque since 1998, and helped develop acrobatics programming for its advanced and preparatory courses. Marie-Pier holds a master's degree in political science from the Université du Québec à Montréal, a postgraduate degree in philosophy from Université Marc Bloch in Strasbourg, and a PhD in philosophy from the Université de Montréal. In 2005, she joined the École nationale de cirque team, and teaches the Philosophy and Rationality, Philosophical Concepts of Humanity, and Ethics and Politics courses to students in the college program. 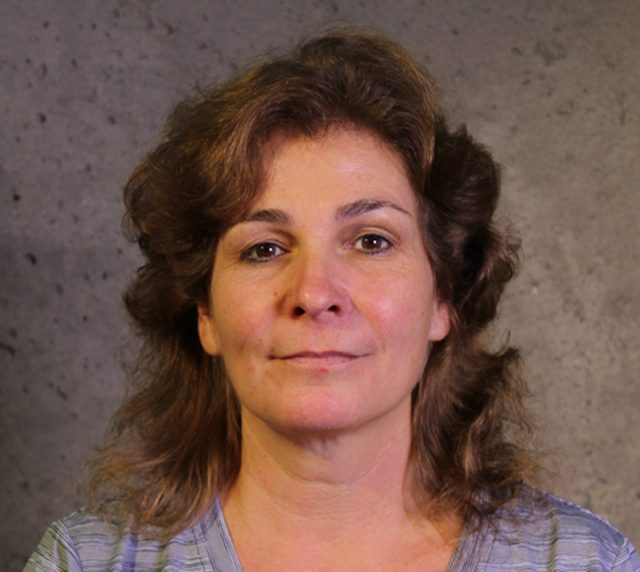 She has also taught in such institutions as Collège international Sainte-Anne in Lachine and continuing education at Cégep Marie-Victorin in Montreal. An ethics consultant, her research, some of which has been published, focuses on social and aesthetic philosophy. After majoring in performing arts at university, author and collector Pascal Jacob enjoyed a twelve-year career as assistant director of opera productions. He went on to work in the fields of scenery and costume design, and artistic direction. In 1984, he completed a master's degree in American circus and in 2002 began to develop a thesis on the evolution of circus costumes. He currently teaches circus history at the National Circus School in Montreal and the Fratellini Academy in France. An exhibition curator as well, Pascal Jacob has published some thirty books on circus and opera subjects. He also has served as artistic director for the international circus production company Dragone, and creative director for prominent circus productions including Barnum's Kaleidoscape, India and Dai Show. As well, he currently is the artistic director of Cirque Phénix and Festival Mondial du Cirque de Demain. An interdisciplinary artist, Peter James’ work integrates the fields of theatre, performance and circus. 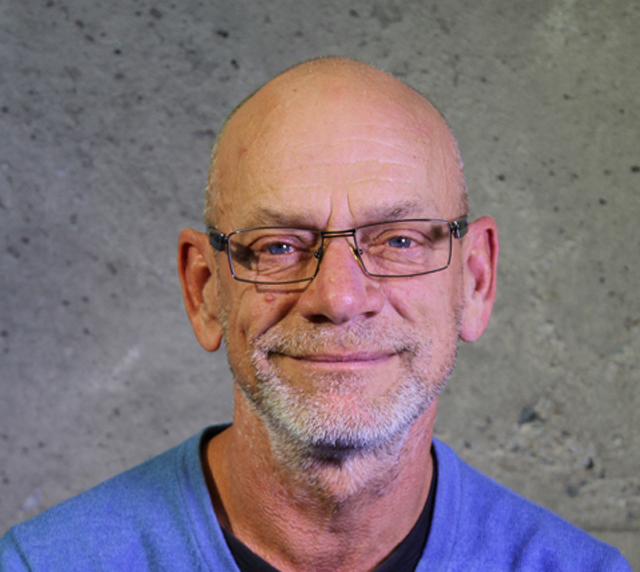 He has played with blurring the lines and norms of theatrical presentations for 30 years, working primarily in France, Belgium, Toronto and Quebec. He is also a playwright, artistic director, performer and artistic advisor, focusing on his own projects or collaborating with such artists as Nicolas Cantin, Manuel Roque, Dana Michel and Stéphane Gladyzewski. 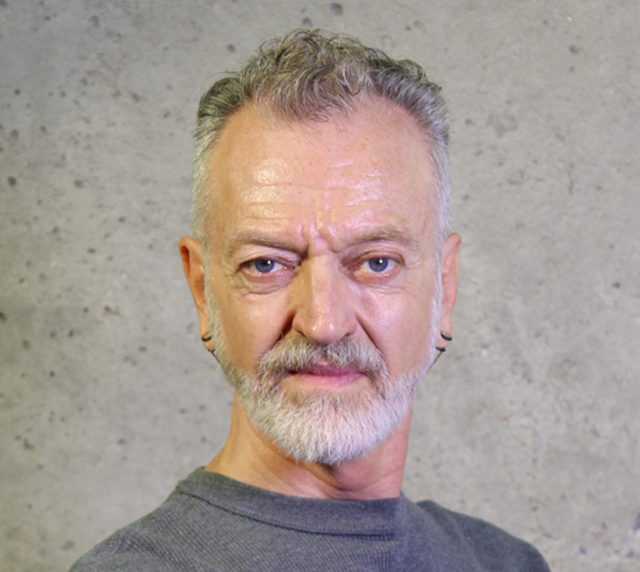 As an actor, dancer and director, Peter has served as an artistic advisor at the École nationale de cirque since 2005. He directed the annual show Les feuilles mortes in 2008, as well as the Ich Bin Research and Creation Workshop presented at Tohu in 2010. 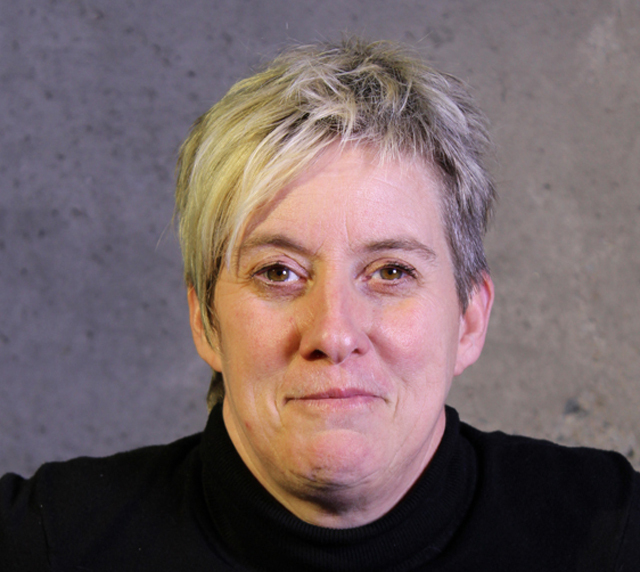 Formed in the dance milieu, Julie has worked in the Quebec circus world for 30 years as choreographer, director, educator, and artistic director and advisor. She has collaborated in numerous circus and dance productions in Montreal and abroad. Among the many projects: she was choreographer for the Dralion show of Cirque du Soleil, Synfunia and Chameleon for Salto Natale of Switzerland, and Ulalena for Maui Myth and Magic in Hawaii. She was also artistic director and director of Sandy Silva’s My Dance, Do I know you? and Apartment #21, and directed and staged Arsenal à musique’s L'Arche and Alice shows. 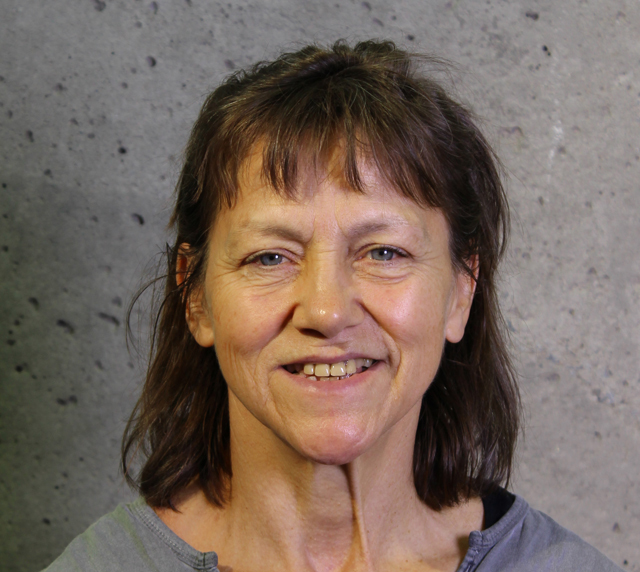 Since 1986, Julie has worked at the École nationale de cirque and contributed to establishing its pedagogical structure. Her name also appears as collaborator in the creation of numerous circus acts, some of which have won awards at prestigious festivals in France, China, Belgium and Monaco. Working either solo or as part of a team, she has designed and staged over 15 shows for the ENC. Since 1979, Sylvain Lafortune has been leading an international career as a dancer and performer in important classical and contemporary creations presented by renowned artistic companies such as Les Grands Ballets Canadiens, Lar Lubovitch Dance Co. and O Vertigo. As a freelance dancer, he now works mainly with Montréal Danse, Créations Estelle Clareton and PPS Danse. Ever since 1999, Sylvain has been teaching in several professional dance training programs throughout Canada. 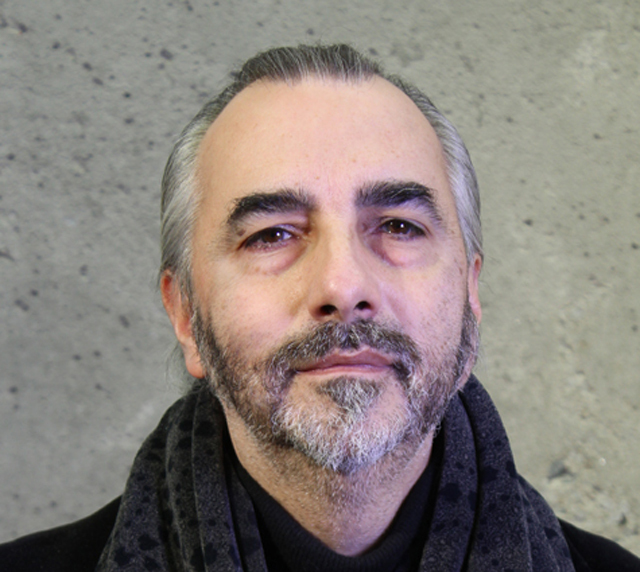 Artistic advisor at École nationale de cirque since 1999, he served as director of the 2006 annual show of École nationale de cirque entitled Faërie. He also acts as artistic advisor of several professional circus performers. In 2015, with Marie-Josée Gauthier, he is the director of Tourbillon from Circus Monti (Switzerland). 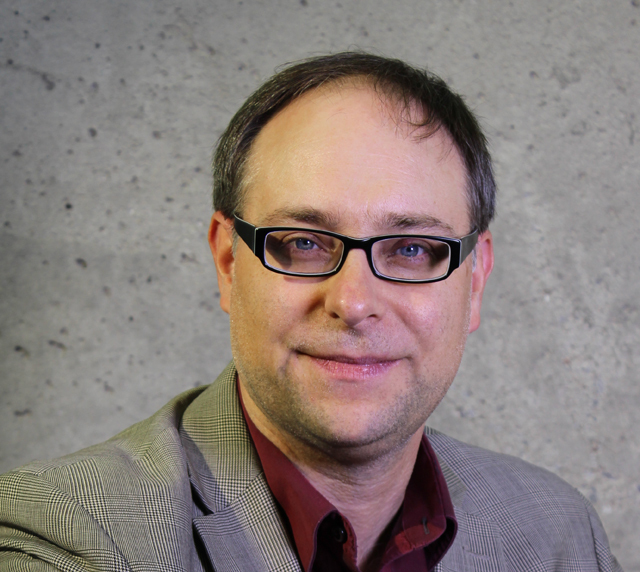 Further to his master and PhD studies at UQAM, Sylvain Lafortune is now a leading authority in terms of dance partners, in both theory and practice. Immersed in the arts world from an early age, Nico obtained a background in professional-level classical and modern dance with Les Grands Ballets Canadiens and Le Ballet Eddy Toussaint in Montreal. She quickly gravitated to the theatre as a place to give free rein to her abilities and aspirations as a performer. She appeared in Thérèse and Tom et Simon at the Festival TransAmériques, La maison de Bernarda at Salle Fred-Barry, and Un Étrange songe d'une nuit d'été to Souffleur de Verre at Espace Libre, to name but a few. In 2014, Nico launched a second version of Trafiquée, a hard-hitting solo about human trafficking that two years earlier had earned her a best actress nomination from Hour newspaper. On film, she has appeared in the feature films Diego Star by Frédérick Pelletier, RESSAC by Pascale Ferland, as well as in Monsieur Lazhar by Philippe Falardeau. Co-founder of Théâtre de Nord Amérique, Collectif du Cheval Cabré and L'Autre Animal with Marie-Josée Gauthier, Nico also has worked with Peter Batakliev at the Théâtre Décalage. Since 2011, Nico has devoted herself wholeheartedly to the role of artistic advisor for the École nationale de cirque and Cirque du Soleil, finding apt outlets for sharing her artistic knowledge. Pascale graduated from École supérieure de ballet in 1990. She began her career as a dancer with Canada’s Ballet Jörgen in a Canadian Opera Company production. She danced for the company Danse Trielle, choreographer Howard Richard and participated in numerous projects as an independent dancer. Concurrently, she teaches dance classes in several schools, namely École de danse Claude Pilon and Collège Regina Assumpta. Since 1990, she teaches at all three training programs at the École supérieure de ballet du Québec, namely recreational, preparatory program and professional training program (2012-2013), where she also serves as preparatory and recreational activities programs for children coordinator. She also works with performers from Compagnie Marie Chouinard. Pascale serves as ballet teacher at École nationale de cirque since 2006. Stéfanie graduated from École nationale de cirque in 1997 and began her career as a professional circus performer specialized in swinging trapeze. From 1998 to 2003, she worked across Europe, Asia and Australia, and was acknowledged by three international circus competitions: La Piste d’or at Festival de cirque La Piste aux Espoirs, in Belgium (1997), Lion de Bronze at the 6th China Wuqiao International Acrobatic Festival (1997) and the Trophée d’argent at the April Spring Friendship Art Festival in PyongYang. Her teaching career began at the Community Circus School in Belfast, Northern Ireland, followed by ÉSAC (École supérieure des arts du cirque in Brussels, Belgium). A teacher at the École nationale de cirque since 2004, Stéfanie teaches aerial disciplines and flexibility to higher education students. After earning a Bachelor of Arts degree in Economics from the Université de Sherbrooke, a master’s degree in project management from the Université du Québec à Montréal and a Master of Business Administration degree from HEC, Éric went on to gain several years of experience in arts and tourism management. Organizations he has worked with include the Orford Arts Center, Conseil local de développement MRC de Memphrémagog and Intermont Group Inc. In 2008, he joined the National Circus School as Administrative Director before assuming his current position with the National Circus School in March 2016. 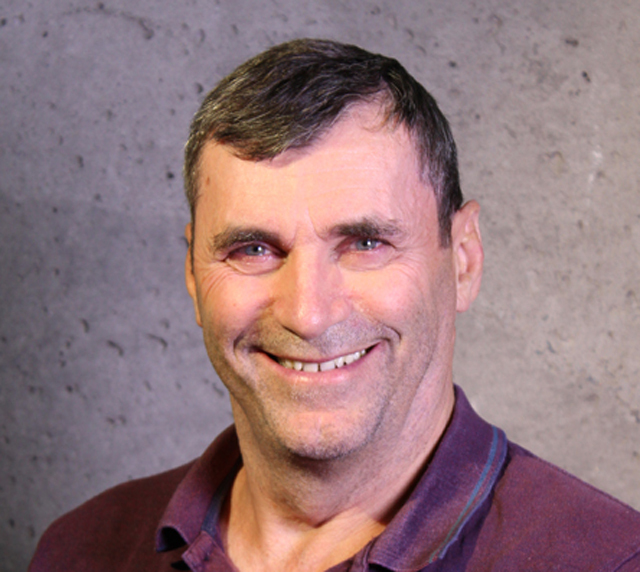 After first earning a bachelor's degree in physical education, André went on to obtain a master's degree in physical activity sciences from Université de Montréal. He has Level IV certification from the National Coaching Certification Program, the highest for gymnastics trainers in Canada. A member of the national junior artistic gymnastics team, he participated in ten Canadian Championships between 1988 and 1998, and the Canada Games in 1991. In 1998, he began a career as artistic gymnastics coach, and fulfilled that role at the Canada Games in 2007. Since 2009, André has taught floor acrobatics, Chinese hoop and physical preparation at the École nationale de cirque. Jean-Marc Limoges holds a Master’s degree in French literature (Université de Montréal) and a PhD in literature, performing arts and media arts (Université Laval). He teaches literature and cinema in college and university. He organizes workshops in connection with creative writing, as well as book clubs and film clubs. He has published fictional works and plays which have been acknowledged. He also acts as a speaker on his current research (reflexivity, mise en abyme, narration, focalization, ocularisation); his articles and reviews on literature and cinema are regularly published in specialized magazines. Since leaving the National Theater School, Didier Lucien has earned a place in audiences’ hearts and enjoyed success in theater, television and movies. On the big screen, he has appeared in several films including Dans une galaxie près de chez vous, French Kiss, Émilie, Chorus, D’encre et de sang and Les affamés. He has demonstrated great talent as an actor for the small screen in French-Canadian TV shows and also in the American series The Art of More (season 2). On stage, he has received applause for his work in some 20 works, including Cabaret Neige-noire, Titus Andronicus, La charge de l’orignal épormyable, Il n’y a plus rien, La cage aux folles and Ai-je du sang de dictateur. Didier Lucien also directed some of the National Circus School graduating students in 2017 in the show L'amour et les extraterrestres presented at TOHU and produced by the School, as well as the Circus and High School students in 2018 in the show Les tailleurs de rêves presented at the School. 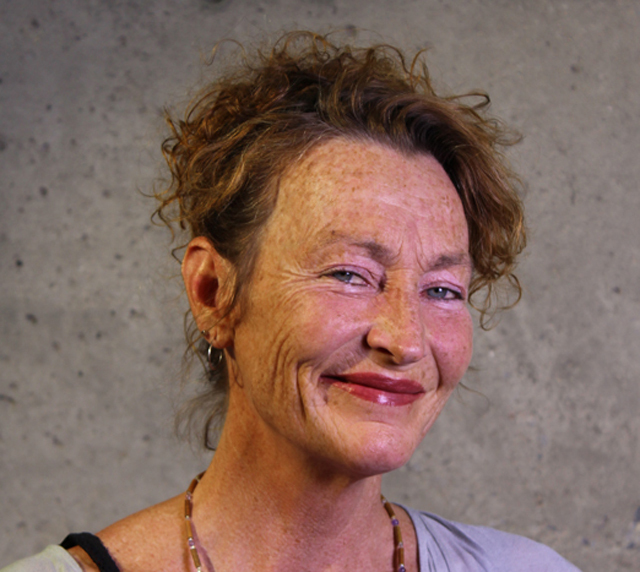 An interdisciplinary performing artist, over the past 30 years Johanne has evolved as a dance and physical theater performer, choreographer, designer, director and teacher. She is renowned for the complex hybrid creations in which she fuses physical, musical and visual genres, and has collaborated with Carbone 14, Ex-Machina, O Vertigo and Cirque Éloize. 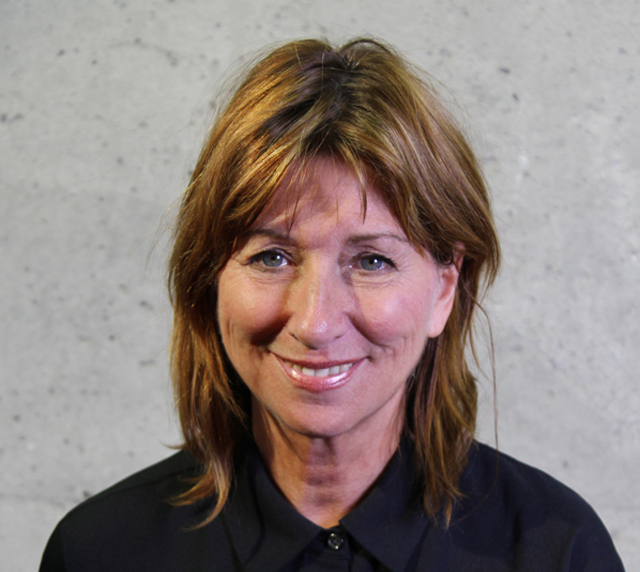 Since 2007, Johanne has worked at the École nationale de cirque as an artistic advisor. 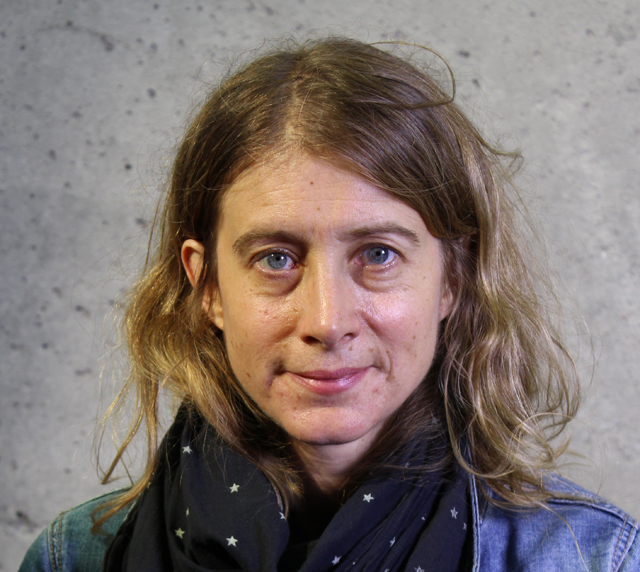 She designed and directed two ENC annual shows, Les Mandalas du désir in 2007 and Les Étinceleurs in 2015, and a Creation and Exploration Workshop production, Croisé, in 2012. Trained in theatre at the Instituto Nacional de Bellas Artes de México, Adrian began his career as a juggler and acrobat in Mexico. Since 2005, he has taught circus arts, first working for the Cirque du Monde in Mexico as a circus arts instructor and later as a circus arts trainer for Cirque du Soleil. Adrian is a 2007 graduate of the School's Trainer of Circus Arts program, and now teaches Cyr wheel, German wheel, acrobatic research, physical preparation and trampoline at the ENC. He went on to obtain a bachelor's degree in kinesiology from the Université du Québec à Montréal in 2017. Diana holds a bachelor's degree in English language and literature from Babes-Bolyai University in Romania. From Concordia University in Montreal, she earned a bachelor's degree in education, teaching English as a second language, and a master's degree in applied linguistics. Diana taught at Collège Rachel before joining the École nationale de cirque team. Students in both the post-secondary and high school programs attend her classes in English as a first or second language. She also teaches the secondary-level Ethics and Religious Culture course at the School. Over the past 20 years, Veronica has evolved as a director, choreographer, author, actress and dancer within the international performing arts community. Trained in European dance-theater with Dominique Mercy and Malou Airaudo of Pina Bausch Co., among others, she obtained a master's degree in the semiology of performance from the University of Bologna. Since 1994, she has created some two dozen works, Hommage à Magritte, Circo Minimo, Rosso di Sera, Hybride, Mi ricordo, Je me souviens and Creatura di sabbia, to name a few. She has appeared at the world’s most prestigious theaters and festivals, and performed in Romanzo d'infanzia for the Abbondanza Bertoni company and Donka by Daniele Finzi Pasca. Since 2009, Veronica has been recognized and supported by the Canada Council for the Arts and the Conseil des Arts et des Lettres du Québec, which provide grants to help continue her creative work. 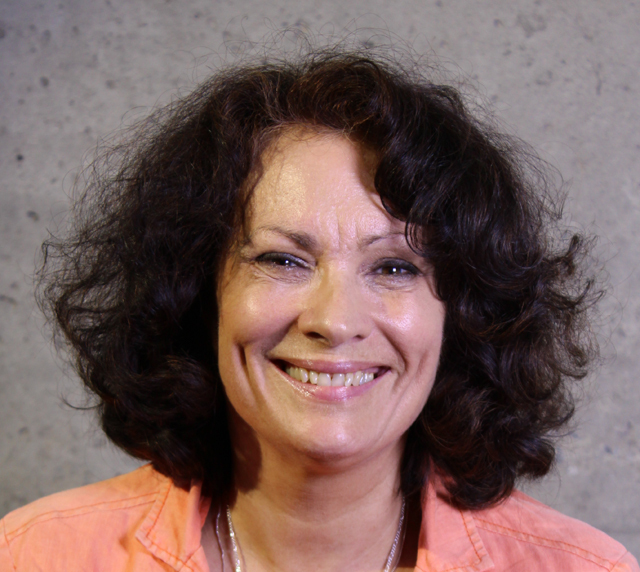 Veronica is highly involved in the Quebec cultural and artistic community and sits on numerous arts councils and juries. An artistic advisor at the École nationale de cirque since 2008, she regularly teaches at the National Theater School of Canada and En Piste, the national circus arts network, and gives master classes in South America and Europe. Annie holds diplomas in massage therapy and massage-kinesiotherapy from the Kiné Concept Institute. She also obtained National Coaching Certification Program (NCCP) Level 3 certification in trampoline in 2000 and completed the NCCP Level 3 as a trainer three years later. In 2005, she enrolled in the ENC Trainer of Circus Arts program, where she specialized in the teaching of tightrope and teeterboard. She also has instructed future trampoline trainers since 2006. A trampoline trainer for the Viagym Club in Lachenaie, Quebec, Annie also practices massage therapy and holds A and B certification in sport parachuting. She teaches at the École nationale de cirque since 2001. Vincent Messager has been working in the field of arts performance touring and marketing for the last 29 years. He has collaborated with Cirque Éloize for more than 12 years on international tour development. He started his touring agency in 2007, Dolce Vita Spectacles and has as clients Cirque Alfonse, le Centre de recherche en art clownesque, Kalabante Productions and China Performing Arts Agency and Production. 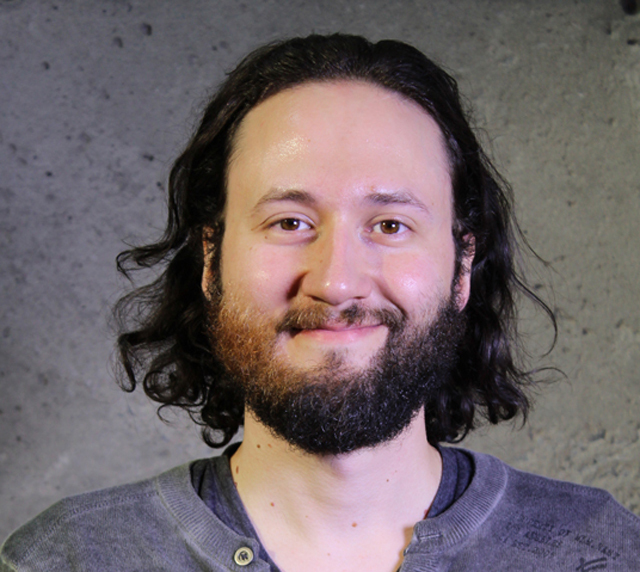 Vincent Messager teaches Career Management at École nationale de cirque since 2013. Eric J. Miles began his dance career in Ohio at the Dayton Contemporary Dance Company. He then settled in Montreal where he joined bjm_danse (Les Ballets Jazz de Montréal), and went on to tour Canada, the United States, Europe, Asia and South America. He has worked with such eminent choreographers as Crystal Pite of Kidd Pivot, Aszure Barton, Mia Michaels, and Ulysses Dove of the Alvin Ailey American Dance Theatre. His choreographic work is integral to the repertoires of several Canadian and American companies, including bjm_danse and Vancouver’s Arts Umbrella. He also has choreographed for two Montreal-area schools, Ballet Divertimento and Artis Magia-College. 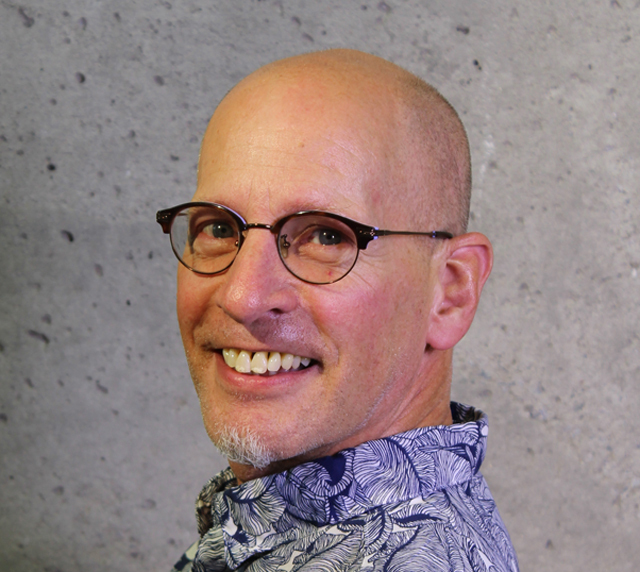 As a visiting professor in Canada and abroad, Eric has taught contemporary jazz and modern techniques. The Macau team of Cirque du Soleil and the Domaine Forget international dance academy are among the many institutions for which he has held master classes. He has taught dance at the École nationale de cirque since 2008. A circus artist specializing in Chinese pole, fixed trapeze, jump rope, Chinese hoops and juggling, Jorge first joined the ranks of the Fusion Circo Arte and Otro Circo companies, both based in Mexico. In 2010, he took an internship teaching position for the Chinese pole number in the Cirque du Soleil Saltimbanco show while also completing the École nationale de cirque teacher training program in the same year. 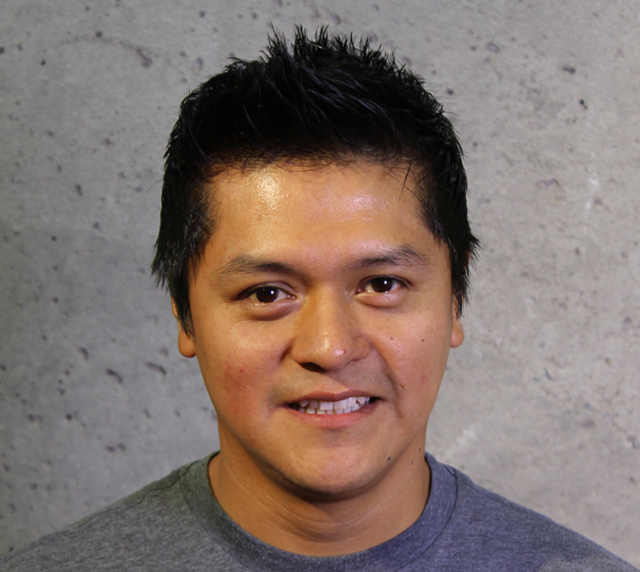 Jorge has taught acrobatics, Chinese pole and physical preparation at the School since 2010. A graduate of SMU in Dallas and of London Contemporary Dance School, Sarah performed for many years as a contemporary dancer in NYC. She discovered circus arts after arriving in Montréal in 2003, and performed aerial work in corporate events with Cirque Éloize and Prodigium, while beginning to teach aerial work at La Caserne 18-30. She has taught and performed in aerial dance festivals in France, Ireland, and the USA. She is a 2008 graduate of the ENC’s teacher training program and teaches aerial disciplines at the School (rope, dance trapeze, aerial hoop) as well as flexibility since then. Sylvain is Master of Learning Facilitator for the National Coaching Certification Program in trampoline and for gymnastic fundamentals. At the École nationale de cirque since 1998, he has taught several disciplines, including banquine, Russian bar, hand-to-hand duo on unicycle, ladder, trampoline and Korean board. In 2010, Sylvain was a contributing writer for the Canadian Freestyle Ski Federation’s Air 1 and Air 2 manuals for learning the trampoline. He also participated in the writing of training programs for instructors and trainers. In addition, he teaches both onsite classes for instructors and trainers at the ENC and virtual classes as part of the School’s online course for instructors. 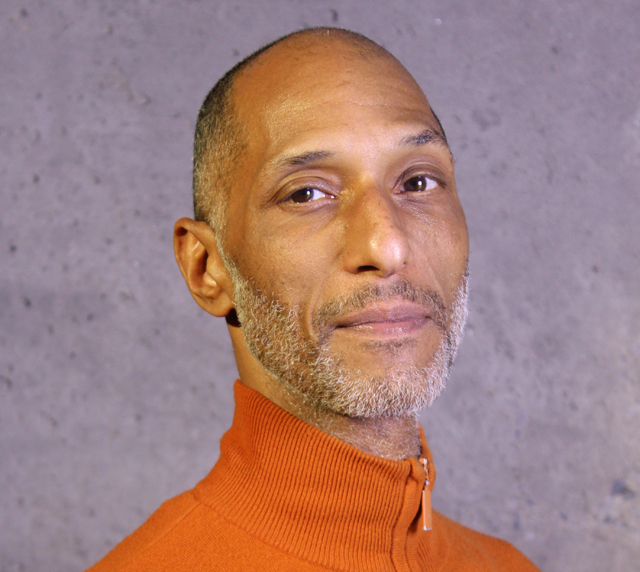 For more than three decades, Howard has been active in the dance community in Canada and abroad. He has created numerous choreographic works for his company HARD, Howard Richard Danse, and has received commissions from Canadian companies such as Ballets Jazz de Montréal, Toronto’s Jorgen Ballet and the Calgary City Ballet. He has received numerous awards including the Clifford E. Lee Choreography Award, the Merit of Distinction at the Suzanne Dellal International Dance Competition in Israel, and a Commemorative Medal for the 125th Anniversary of Confederation. He created several annual show productions for the École nationale de cirque. 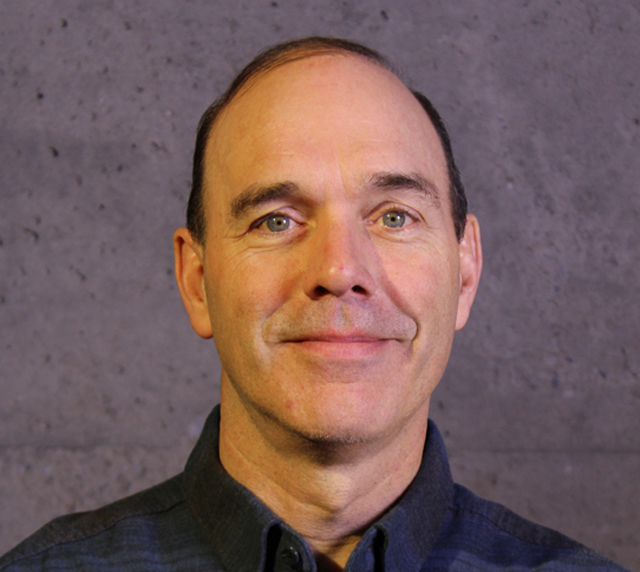 Howard has served as an artistic consultant at the School since 1996 and was named its director of creation a decade later. 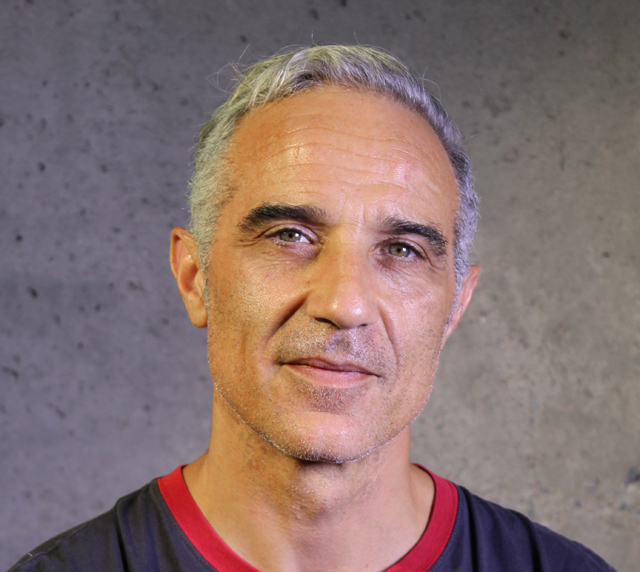 As director and choreographer, he has created numerous shows integrating the circus for companies: Skating Rink for Les 7 doigts de main; Les sublimes, Base 11/19, Aimer si fort for France’s Hendrick Van Der Zee company; and Les veillées for a Brazilian company. In 2016, he created Beaux moments, a dance show that was performed at Place des arts in Montreal. A 1997 graduate of the École nationale de cirque as a circus artist, Nadia also earned an Attestation of Collegial Studies in the Trainer of Circus Arts program. As a performer, Nadia's career took her on the road with major companies, including Les Gens d'R, Cavalia and Cirque du Soleil, and she has worked with internationally renowned directors such as Aly Rose, Debra Brown and Robert Lepage. An acrobatic trainer at the School since 2012, Nadia also teaches aerial hoop, straps, and rope. She also works as an acrobatic coach and director at the Cirque Éloize and 45 Degrees production companies. After earning a bachelor's degree in theatre from the University of Ottawa, France graduated from the École nationale de cirque in 1987. She went on to win a bronze medal at the 45th International Juggling Festival in Montreal in 1992. A diverse career path subsequently saw her performing at school events and before general audiences in television and theatrical productions, and participating in a number of festivals. Since 1985 she has taught juggling and manipulation for the School’s postsecondary and teacher training programs in circus arts. The professional career of Nathalie Sabourin is strongly linked with the École nationale de cirque. Specializing in tightrope, this multidisciplinary artist appeared with Cirque du Soleil from 1985 to 1987. As a swing duo artist, she made appearances in numerous cabarets, festivals and corporate events between 1994 and 2000. She performed an aerial swing number at the 13th Festival Mondial du Cirque de Demain in 1993, and a swing duo with Sylvette Boudreau at the 2000 Monte Carlo International Circus Festival. Today, Nathalie passes on her passion to young artists by teaching tightrope and artistic bicycle. She also has served as manager of the School's training studios since 1993. Franck specializes in tumbling, trampoline and acrobatic gymnastics. As part of the French national team, in tumbling he won several honours including a team world championship in 1990 and the title of national champion of France in 1991. His career as artistic acrobat on the European events circuit was followed by international tours with Cirque du Soleil's Alegria show. He was head coach for Cirque du Soleil's Les Chemins invisibles (2011) and Wintuk, and participated in major events such as the 2015 Pan American Games in Toronto. 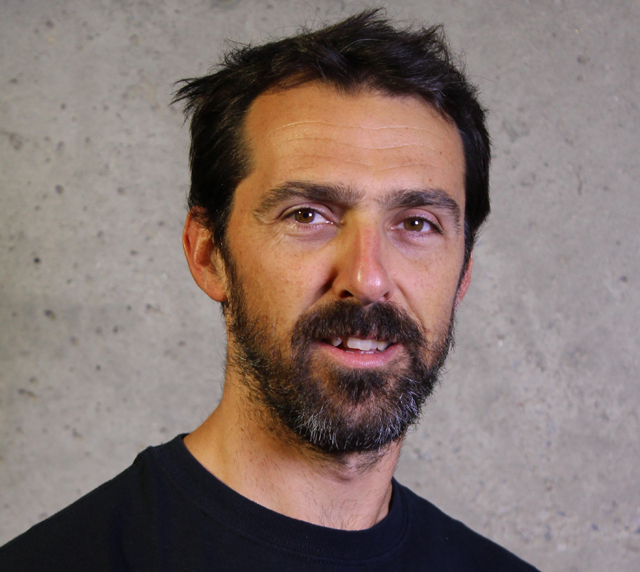 Franck has taught floor acrobatics, hand-to-hand, Cyr wheel, acrobatic research and physical preparation at the École nationale de cirque since 2013. Sandy Silva is an award-winning choreographer, producer, and internationally acclaimed pioneer of percussive dance. She draws from global percussive dance practices infusing them with movement, voice, theater and impeccable musicality. The result is a unique and powerful form of performance and storytelling. After 25 years of performing and teaching around the world, Sandy started the Migration Dance Film Project with award winning director Marlene Millar. Their films have screened internationally and won numerous awards. The migration Dance Film Project will incorporate 8 short films into a full length feature film to be released in 2020. She teaches music and rythmics to higher education students. As an athlete, André participated in several Canadian championships on the trampoline and double mini-trampoline. He also performed as an artist in Cirque du Soleil’s early creations: La magie continue, Le cirque réinventé, Nouvelle experience and Alegria. Recipient of the 1987 Bronze Medal at the Festival Mondial du Cirque de Demain for the group bicycle number in the La magie continue show, André's talent has been lauded for the famous “Les Pingouins” board number in Cirque du Soleil's Le cirque réinventé show. Concurrently, André pursued a career as a coach with the many Cirque du Soleil shows in which he appeared. He has aught the Korean board at the National Circus School since 1995 and now may come back as a guest instructor. Véronique teaches aerial disciplines and flexibility at the École nationale de cirque since 2004. A yoga enthusiast, she is also a certified hatha yoga teacher. Passionate about movement, she trained in dance at the Université du Québec à Montréal and in trapeze at the Le Nœud d'Erseau school. She accumulated eight years of touring experience around the world performing her triple trapeze number before devoting herself to teaching. With her trio, she received the Beauty on Water Award at the Cirkus Prinsessan Festival. Véronique has also trained aerial artists and co-created several numbers for Cirque Éloize (Nebbia, Cirkopolis, iD) and Cirque du Soleil (Totem, Paramour), among others. Her students shine on rings across the world and many have won prizes in prestigious festivals. A 1989 graduate of the École nationale de cirque, Jacinthe’s scope is enriched by a diverse background in modern, classical and acrobatic dance forms, as well as capoeira and commedia dell'arte. She performs on flying, fixed and duo trapeze, as well as rope and silks, and was part of Cirque du Soleil’s artistic teams for its early works. This was followed by appearances with the P'tite Fanfare, Cirque du Tonnerre, Cirque Plume, and Les Gens d'R companies. She also was a technical advisor and provided artistic support for the Cirque Orchestra show by Cirque Éloize and other shows for Les Gens d'R. Jacinthe has been a teacher at the École nationale de cirque since 1991, principally of Chinese pole, cloud swing, trapeze and flexibility. She also has been in charge of the School’s Épreuve synthèses, or final exams, since 2001. A multidisciplinary artist with a passion for acrobatic cycling, Luc holds a bachelor's degree in kinesiology from the Université du Québec à Montréal. He garnered acclaim for the acrobatic cycling number he performed with the Cirque du Soleil from 1985 to 1992. As well, he was awarded a bronze medal at the 1989 Festival Mondial du Cirque de Demain in Paris and participated in nine world acrobatic cycling championships. Luc was a stunt-acrobat in Robert Lepage’s staging of The Damnation of Faust as part of a tour of Japan. Since 2011, he has performed his solo show Monsieur Bob, dompteur de jouets mécaniques, which he created for the Quebec City Summer Festival. 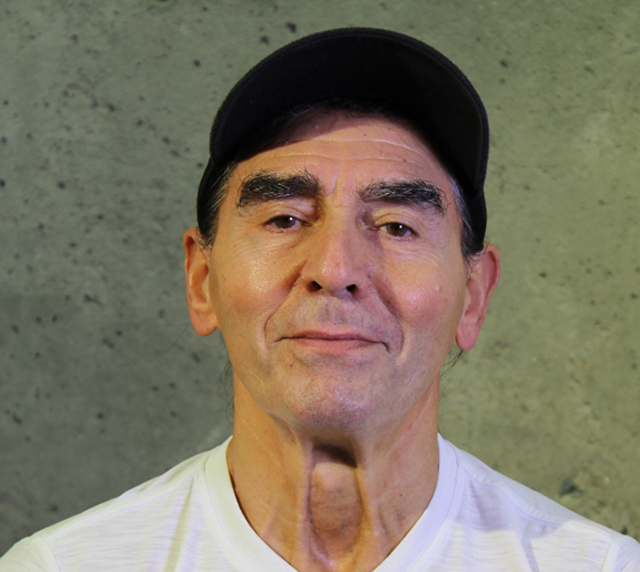 Luc has been teaching at the École nationale de cirque since its inception in 1981. He also pursues other passions as cameraman, director and video editor, and for many years has created performance videos. 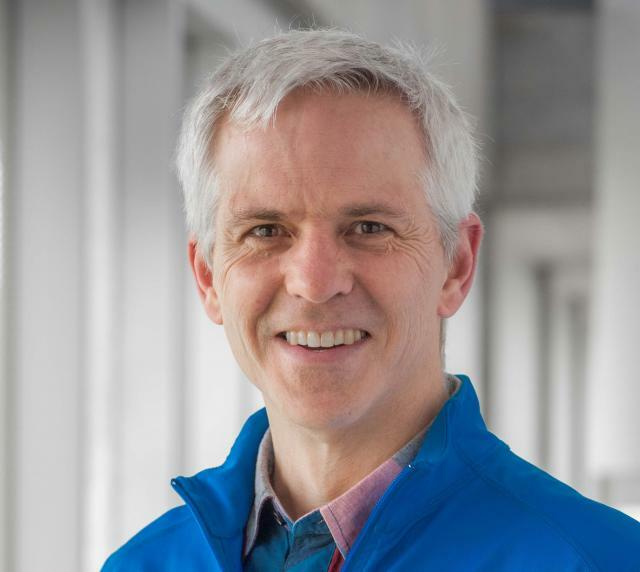 After studying engineering and translation, Robert completed a bachelor's degree in education, science and French at Université Sainte-Anne in Nova Scotia in 1999. He went on to teach mathematics, science, economics and biology at the high school level at several schools in Nova Scotia and Quebec. On staff at the École nationale de cirque since 2004, Robert teaches science, mathematics, and economics in the contemporary world to students in the Circus and High School Studies program. Director, playwright and actress Julie Vincent has played many leading roles in more than a dozen television series and Canadian films. She also has performed on major theatre stages and in the Ligue nationale d'improvisation. Her acting has garnered numerous awards: a Golden Plaque for Best Actress at the 1979 International Film Festival in Chicago for Mourir à tue-tête by Anne-Claire Poirier, and she was nominated several times for a Prix Gémeaux. She performed Arthur Honegger’s Jeanne au bûcher under the direction of conductor Charles Dutoit both in Japan and at Carnegie Hall in New York. 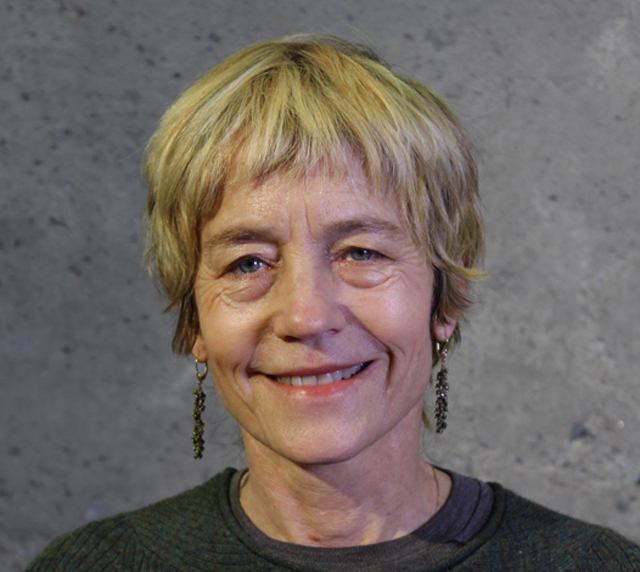 A professor at the National Theatre School of Canada for more than 20 years, first of improvisation and then acting, she has been an artistic advisor at the École nationale de cirque since 2008. In recent years, Julie has devoted herself to her work as a playwright and to her creative company, Singulier Pluriel. Her works are published by Éditions de la Pleine Lune.